There was a great bustle in the editorial office: the telephone was heated up on the 3rd of June. “What’s happen? The Governor’s helicopter has been circling over the town almost for 20 minutes. Has Vladimir Putin come? Are there military exercises?” or, what is the worst question, “ Is it an armed attack?” – asked excited Vyazemskii dwellers. 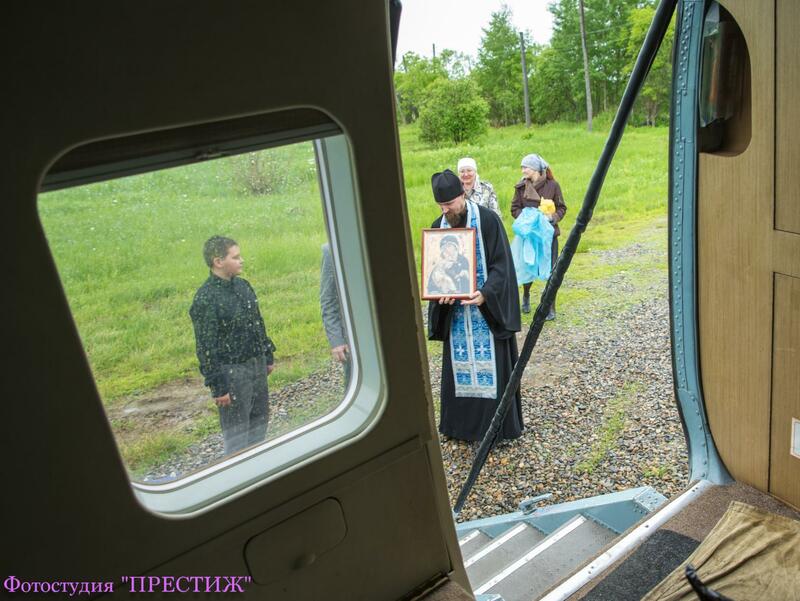 As things turned out The Prior of our Local Parish of Saint Nicholas the Priest George together with the city chief Alexander Yuryevich Usenko had flown round the town with the Vladimir Icon of the Mother of God. 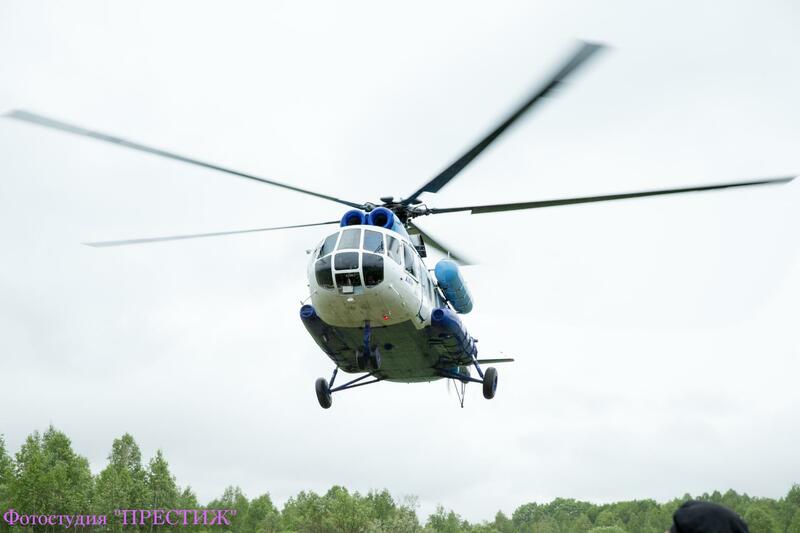 A.Y.Usenko also shared with his impression, “The helicopter was given to us absolutely free in charge by OOO “Transoil – Far East” enterprise. 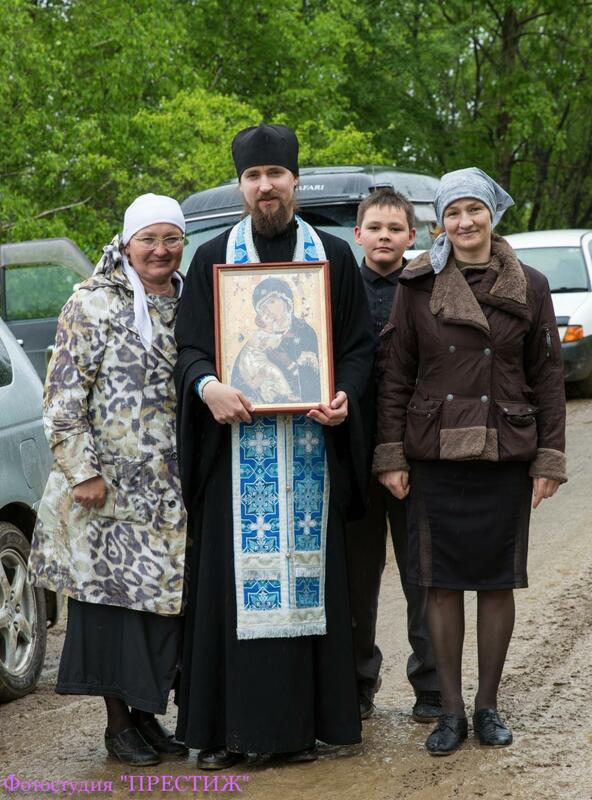 Apart from three members of helicopter-crew, me and the Priest George there was a photographer Natalya Danilenko, who took photos for the forthcoming city anniversary. 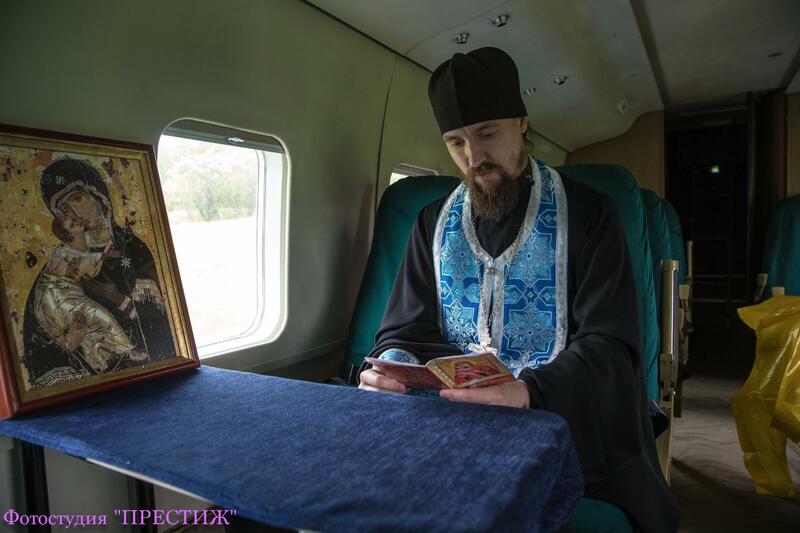 It’s my second flight over Vyazemskii and to tell the truth at first I couldn’t believe that it was my native town. Mostly I was impressed by seeing great amount of green plants. At this altitude especially when the sun’s eyelashes broke through the clouds everything seemed to be emerald. Our town five-storey buildings also were pleasing to the eye. Their brightly blue, claret-coloured and green rooves adorned the overall picture. Such sights as the number 2 school’s stadium, the stadium “Locomotive”, the rail-way station, Local District Hospital and the Forest College stood out against the rest sights of our native town. 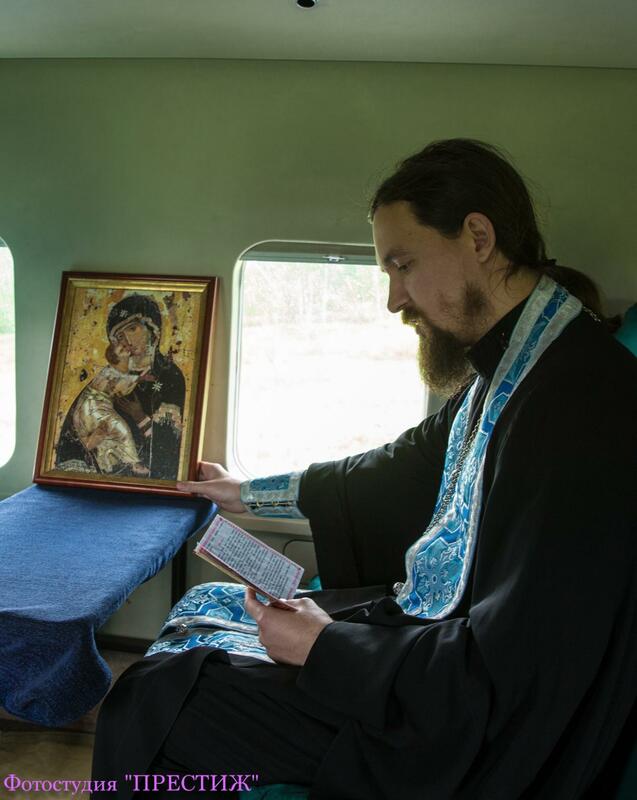 Our flight was made on the date of Vladimir Icon of the Mother of God, so I believe that very soon our town will be decorated with new temple in honour of this icon. 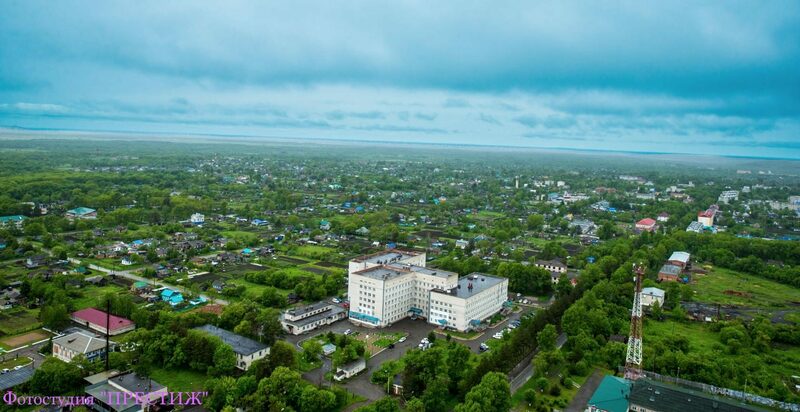 I would like to thank the leaders of OOO “Transoil – Far East” Valeriy Sergeyevich Timopheyev, Robert Anisovich Galiyev, Nicolai Petrovich Tokarev who help our town not for the first time.